After SPM or O-Levels, there are many different pathways for you to choose from and sometimes it can be confusing. Choosing the right university or college for the Culinary Arts Degree Course after high school is one of the most important decisions you can make in your life. This can be a confusing and difficult time if you are unprepared. Students after SPM or O-Levels with 3 credits can enter the 2-year Diploma in Culinary Arts. Upon completion of the Diploma, students can either work or continue on into Year 2 of the Culinary Arts Degree programme. Students with 5 credits in SPM or O-Levels can enter the Foundation in Arts or Foundation in Hospitality at top culinary schools in Malaysia for 1 year before entering into the 3-year degree Culinary Arts Degree. UEC, STPM, A-Level and other external Pre-University Programme students with the relevant results can enter into the degree. Students after SPM or O-Levels who love to cook can pursue the Swiss IMI Diploma in Culinary Arts at KDU University College Utropolis Glenmarie at the best university in Malaysia for Culinary Arts programmes at KDU University College Utropolis Glenmarie. Students after SPM or O-Levels with 3 credits can enter the 2-year Swiss IMI Diploma in Culinary Arts. Upon completion of the Diploma, students can either work or continue on into Year 2 of the Culinary Arts Degree programme at KDU University College. Students with 5 credits in SPM or O-Levels can enter the Foundation in Arts & Technology at KDU University College Utropolis Glenmarie for 1 year before entering into the 3-year degree. UEC, STPM, A-Level and other external Pre-University Programme students with the relevant results can enter into the degree. Culinary Arts Degree students at KDU University College Utropolis Glenmarie can major in Culinary Operations, Baking & Pastry or Italian Cuisine. To excel in the competitive world of culinary arts, one must choose the best university or college to help him achieve success. KDU University College Utropolis Glenmarie and KDU University College Penang have won numerous awards internationally and nationally thus proving that they are the best in Malaysia for the culinary arts programme. They have produced top chefs for the past 30 years with a solid programme that is both practical and academically sound. Graduates will also receive an internationally recognised certificate from IMI Switzerland. 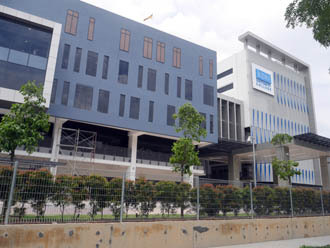 One of the best university college in Malaysia for the Culinary Arts programme is KDU University College Utropolis Glenmarie.The School of Hospitality, Tourism and Culinary Arts at KDU University College signed an MOU with IMI in 1997 which enabled KDU to offer the IMI Programmes in Malaysia. In doing so, KDU University College became the first private university college to offer students, at both the Petaling Jaya and Penang campuses, the opportunity to obtain prestigious Swiss qualifications without having to go abroad. 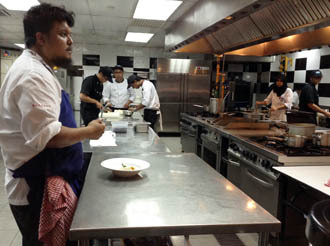 One of the unique features of the KDU–IMI Dual Award program is the exposure to industry placement in reputable local or international hotels and restaurants where practical skills are enhanced in real-life situations. The School of Hospitality, Tourism and Culinary Arts (SHTCA) at KDU University College believes that practice makes perfect, especially in the culinary field, and as such, KDU University College is the only school in Malaysia where 75% of the programme is based on hands-on practice. Here at KDU’s School of Hospitality, Tourism and Culinary Arts, they make sure that you learn only from the best. Many of KDU’s lecturers are very experienced in the industry as well as in teaching. The school is always breaking out of the mould and pushing boundaries. 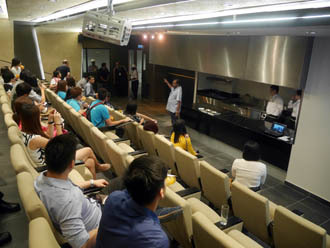 KDU University College Utropolis Glenmarie is the first and only school to offer molecular cooking as a compulsory subject in its culinary programmes. Recently it launched the first-ever culinary book that pays tribute to our local cuisine and produce and is the first book in Malaysia that applies molecular cooking techniques to Malaysian recipes. A graduate of Institut Vatel, Chef Darren Teoh began his career with the Les Amis group of restaurants in Singapore before moving back to Malaysia to impart knowledge to young culinary talents. He currently teaches Introduction to Molecular Cooking and is the author for KDU’s latest culinary book release – Redefinition: Traditional Recipes through a Modern Kaleidoscope. 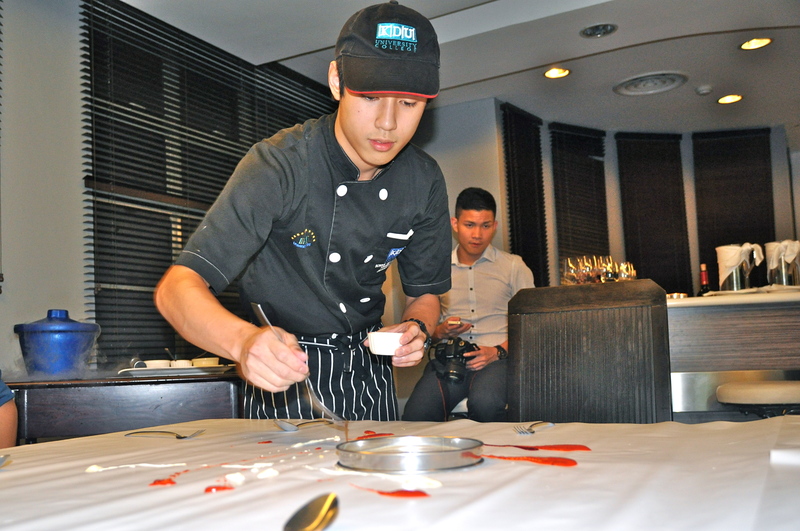 KDU University College fervently believes that to be at the top, you have to start at the top, which is why the school is no stranger to the competitive hospitality scene. The students and staff of SHTCA have never failed to deliver, both in the local and international competitions, ensuring that the university delivers the best in culinary education in Malaysia. KDU’s students are also very active in Corporate Social Responsibility projects with foundations and associations that cover an array of purposes. The school is also internationally recognised – it garnered the World Association of Chefs Societies (WACS) Recognition of Quality Culinary Education as well as accreditation from The International Centre of Excellence in Tourism and Hospitality Education (THE-ICE) as an Associate Member. Cube Award, Lufthansa Airlines Exec. KDU University College’s School of Hospitality, Tourism & Culinary Arts (SHTCA) is proud to announce it collaboration with ALMA Scuola Internazionale di Cucina Italiana, Colorna, Italy, the world’s leading international educational and training centre for Italian Cuisine. Through this collaboration, the implementation of the Master Chef Certification programme for KDU culinary lecturers was established, providing training in the academic of Italian cuisine and pastry. ALMA educates chefs and sommeliers from all around the world forming professional of Italian Cuisine with training programmes performed at the highest level by the most awarded teachers. Culinary arts graduates are always in demand as there are more and more food connoisseurs who expect good, high quality food with top-notch service. The comprehensive syllabi in KDU University College’s Culinary Management degree course with a choice of three majors promise to prepare you for the challenges in the kitchen, whether you head a large operation or work in a modest establishment. Culinary Operations will allow you to acquire in-depth knowledge of both management and practical aspects related to culinary operations. From the traditional methods in handling meat to cutting-edge techniques in molecular gastronomy, from classical French dishes to contemporary Asian delights, this course gives you a broad exposure to the culinary traditions of both east and west. If you opt for Baking and Pastry, you will develop an array of managerial and technical skills that allow you to kick-start your career in the patisserie industry. Satisfy the growing global demand for breads, pastries, cakes, and a variety of confectionery by mastering various baking and decorating techniques. Italian cuisine) and KDU UC, this programme gives you familiarity with Italian produce and products, original and regional recipes from the country and a deeper appreciation of its gastronomic traditions and culture. 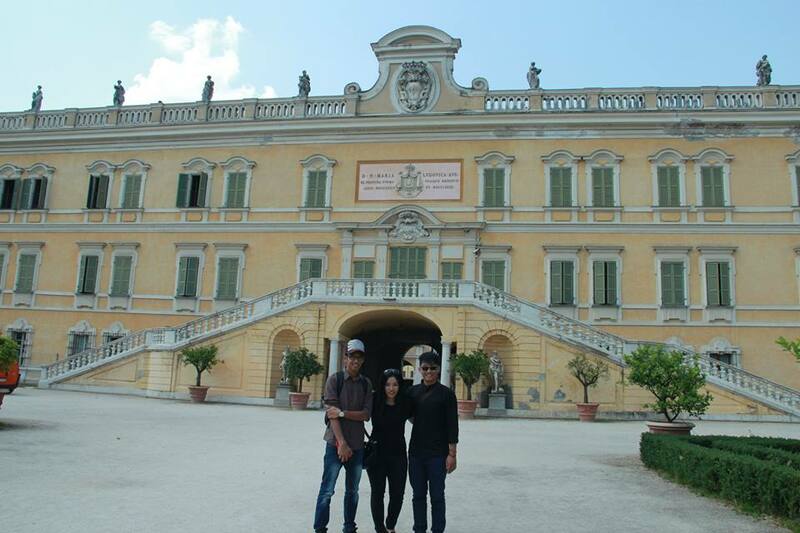 This program jointly taught by ALMA of Italy and KDU University College would prepare the students for traditional Italian cuisine in a modern setting, focusing the education on typical Italian products, original Italian recipes with the help of top Italian chefs. Italian cuisine has always been the backbone of classical European epicurean experience; it has developed through centuries of cultural and social change. The demand for quality Italian style cuisine has seen an increase in the number of authentic Italian restaurants in and around the Asian region. KDU University College is the first institution of higher education in Malaysia to offer a Bachelor of Culinary Arts in Italian Cuisine. Students who undergo the new Bachelor’s of Culinary Management (Hons) Italian Culinary, will spend seven months in Italy, paying local fees and is the only Italian Culinary Degree Major in Malaysia. 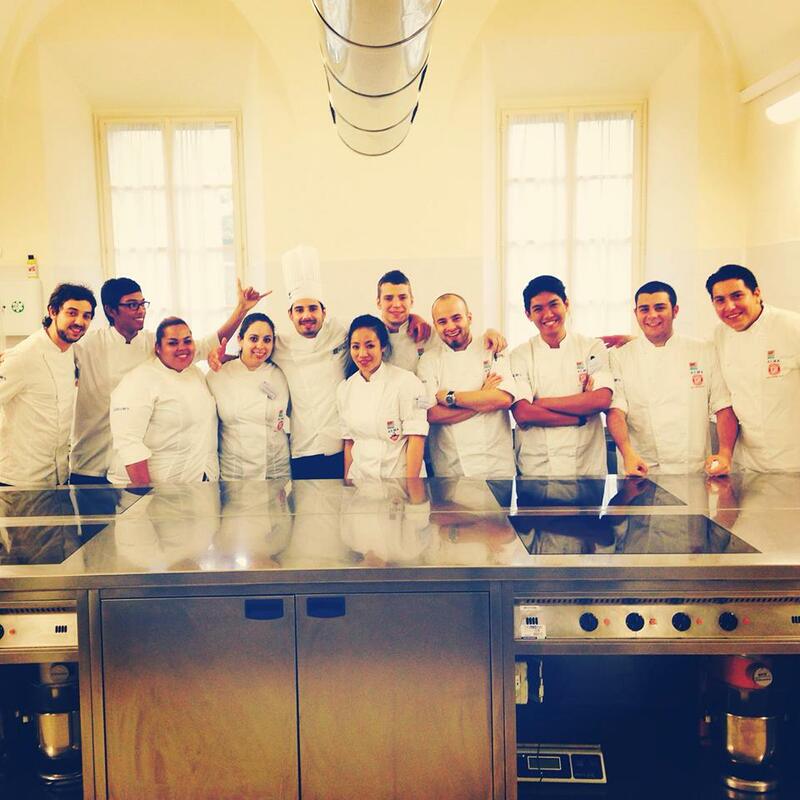 ALMA is the World’s leading International Culinary education centre for Italian Cuisine. Close to the heart of Italian Cuisine (Parma, origin of Parmesan Cheese, Parma Ham and Balsamic Vinegar). This is a dual award programme, students who complete this programme would be awarded parchments from KDU university College and IMI University Centre, Switzerland. 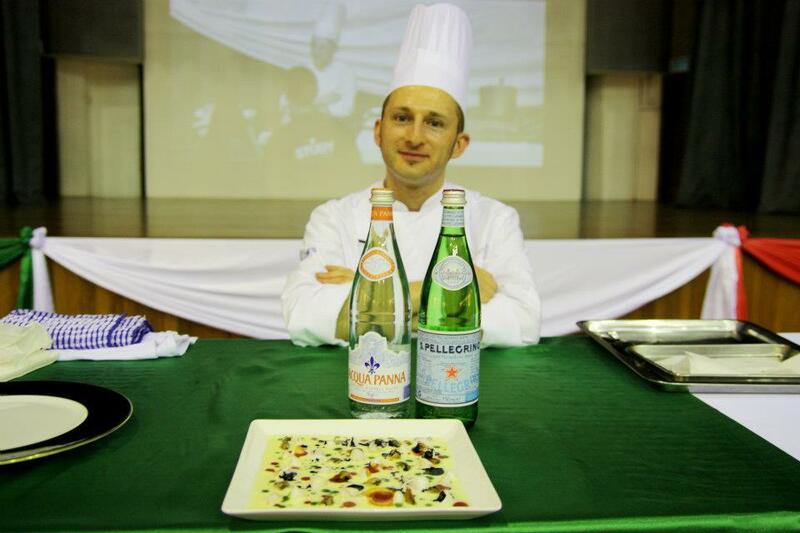 Chef Bruno Ruffini, ALMA La Scuola internazionale di cucina italiana Parmigiano Reggiano — at KDU University College. 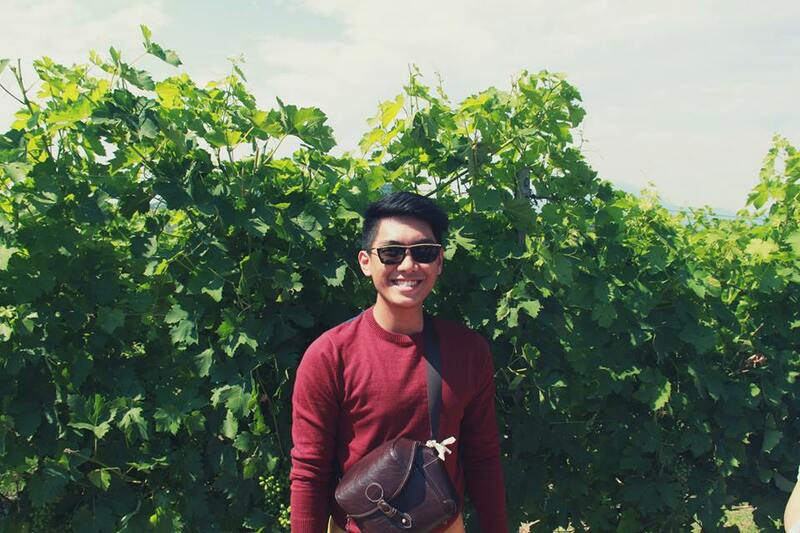 KDU University College culinary arts student, Daniel, during his Field trip to Chianti wine vineyard in Italy. Students can go for a 7-month internship to ALMA, Italy. A state of the art purchasing department with computerised inventory system. Why Study Culinary Arts at KDU University College Utropolis Glenmarie? HOSCO is a trusted partner for those who seek excellence in their careers and human capital in the hospitality industry. 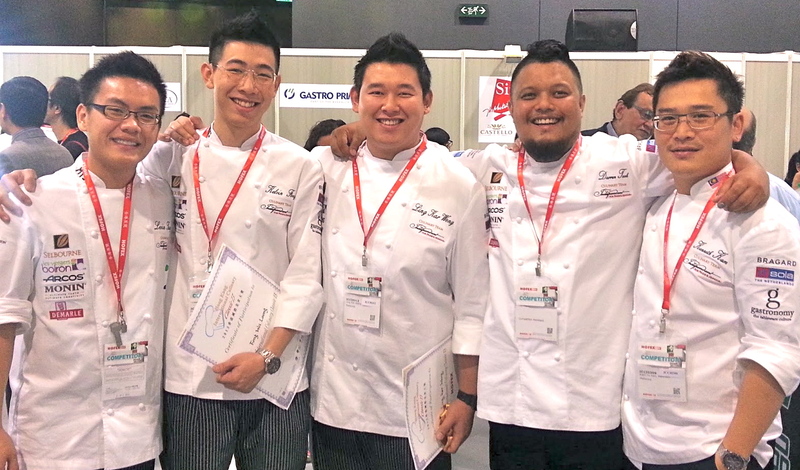 KDU’s Award-Winning Chefs – From left: Levin Tung, Fong Wei Loong, Ling Kar Weng, Chef Darren Teoh and Chef Kenneth Kam (School of Hospitality, Tourism and Culinary Arts). Through a single point of contact, members from selected hotel schools use HOSCO to access leading hospitality companies and their available positions on a global market basis. This platform enables members to better select their internships and first permanent positions and to access valuable social tools and applications. At the same time, companies registered with HOSCO enjoy real-time access to the largest number of highly qualified candidates, either for internships or post-graduate positions, through a single efficient platform. Through the community, employers save time and money recruiting talents that best fit their needs and company values and who are committed to developing a career with them. More than a traditional job board, HOSCO, based in Geneva, Switzerland, is where top hospitality companies, schools and members from all over the world meet and interact. in Malaysia. Students from the northern region have access to world class culinary education through KDU University College Penang. 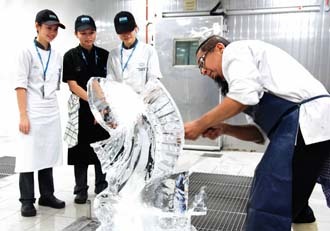 As a pioneer in the culinary arts, students at KDU will graduate with a prestigious Diploma from Switzerland. You will be taught by award-wining chefs from diverse nationalities; Germans, French, Australians and Malaysians. Visiting IMI, Switzerland professors every teach KDU students every few months as well as conduct seminars. KDU’s Diploma in Culinary Arts has the most practical-based subjects amongst other institutions with 75% of classes being kitchen-based, therefore making this the best hands-on culinary programme in Malaysia. The School of Hospitality, Tourism and Culinary Arts (SHTCA) at KDU University College believes that practice makes perfect, especially in the culinary field, and as such, we are the only school where 75% of the programme is based on hands-on practice. Here at the School of Hospitality, Tourism and Culinary Arts, we make sure that you learn only from the best. Many of their lecturers are very experienced in the industry as well as in teaching. cooking as a compulsory subject in its culinary programmes. Recently it launched the first-ever culinary book that pays tribute to our local cuisine and produce and is the first book in Malaysia that applies molecular cooking techniques to Malaysian recipes. 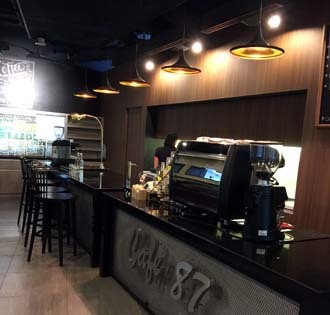 KDU fervently believe that to be at the top, you have to start at the top, which is why the school is no stranger to the competitive hospitality scene. The students and staff of SHTCA have never failed to deliver, both in the local and international competitions. The course will be taught through a combination of formal lectures, practicals, exercises, role-plays, pair and group work, using authentic materials, activities and various textbooks. Throughout the course, students will learn how to apply food hygiene, health and safety rules in the preparation of all types of food. You will learn the lay-out and kitchen requirements for different types of kitchens, their tools, equipment orientation and its uses. Highly experienced chefs will teach you how to apply various cooking and preparation techniques to make safe, hygienic and delicious food that look great. Upon completion of the Diploma in Culinary Arts at Taylor’s University, students can enter into Year 2 of the top rated Bachelor of Culinary Arts & Foodservice Management (Hons). 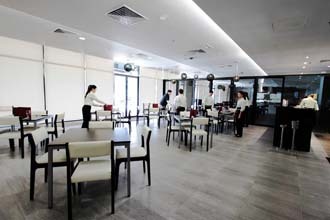 The Bachelor of Culinary Arts & Foodservice Management (Hons) at Taylor’s University is designed to equip students with applicable knowledge and skills in foodservice management and culinary arts, and train students with technical and management skills for a career in the global food and beverage industry. 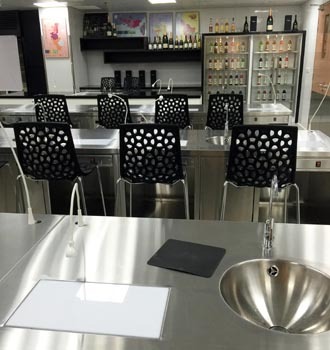 The curriculum focuses on key competencies related to culinary, culinary management, pastry and business management. Graduates from the Bachelor of Culinary Arts & Foodservice Management (Hons) will receive dual recognition and certification by University of Toulouse (UOT), France and Taylor’s University. Taylor’s University is the first and only university to achieve Tier 6, best quality in teaching and learning of the hospitality and tourism discipline in Malaysia. Tier 6: Outstanding rating in the Ministry of Higher Education’s Discipline-Based Rating System (D-SETARA). Taylor’s is the best university in Malaysia to study Culinary Arts. Through the Bachelor of Culinary Arts & Foodservice Management (Hons) programme, Taylor’s students will be able to manage food and beverage and kitchen operations effectively; conduct research and development activities in the culinary arts; conduct training in food production and acquire supervisory skills; practice and enforce safety, sanitation and food hygiene control; adhere to the professional codes of conduct; as well as be able to communicate effectively in a multicultural context. Students have the opportunity to run and manage a food business by applying entrepreneurship elements. Enable students to add value or create new food menu by exposing them to the relationship between food and consumer perceptions, through modules such as Nutritional & Sensorial Analysis and Psych-Sociology of Food & Eating Habits. Regular field trips and industry visits to food and beverage establishments. Equip students with food business management modules such as Food Supply Chain Management, Menu Design & Development, Foodservice Entrepreneurship and Revenue Management. Cultivate business minded graduates by developing communication, entrepreneurial and managerial skills. Internship in Year 2 and 3 (28 weeks) to develop supervisory and management skills. The Bachelor in Culinary Arts Management (Honours) programme at Berjaya University College of Hospitality is designed to develop those who have chosen to pursue and further their career in culinary arts. The Culinary Management degree course focuses on a range of administrative, operational and management areas in the culinary industry. In order to refine the practical skills they have learned to enable them to perform effectively in compliance with the operational industry standards. Why choose the Bachelor of Culinary Arts Management (Honours) at Berjaya University College of Hospitality? Culinary Arts is part of food service industries and this industry requires daily contacts and interaction with customers by serving the needs of the public. Therefore good social and communication skills are important assets to acquire when planning a career in the culinary arts. What to expect from the Bachelor of Culinary Arts Management (Honours) at Berjaya University College of Hospitality? The Bachelor of Culinary Arts Management (Honours) programme at Berjaya University College of Hospitality covers a wide range of areas related to the competency requirements of your future workplace. It enables you to gather critical knowledge and acquire essentials skills required in the Culinary Industry. 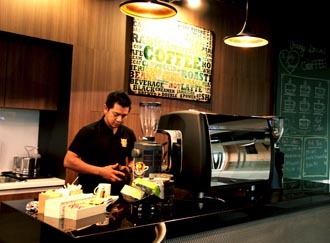 The culinary industry involves multifaceted forms of businesses. Therefore, the business and management modules cater to the needs of developing competency levels in relation to business. The business modules cover aspects like customer relationship management, human resource issues, IT, accounting, management and marketing as well as communication. These constituents will equip you with the necessary skills in relation to leading, managing, customer relationship and soft skills. You will undergo a semester of comprehensive training in the internship programme. It has been specially designed to give you an intensive hands-on learning experience within a challenging work environment. At BERJAYA University College of Hospitality, our commitment towards professional excellence focuses on ‘human development’, attention to detail in teaching and learning that are unique qualities which differentiate us from the rest. The University College has an integrated classroom-community space for students to learn and apply their knowledge and skills in real-life situations, which is what we call the BERJAYA Immersion Methodology. A significant part of this approach depends greatly on the innovative academic curriculum, delivered both inside and outside of the classrooms, which are both academic and career-focused, and is based on the ‘Learning by Doing’ principle. This approach educates our students to think critically, communicate effectively, work productively and manage professionally right from the day they start with us.